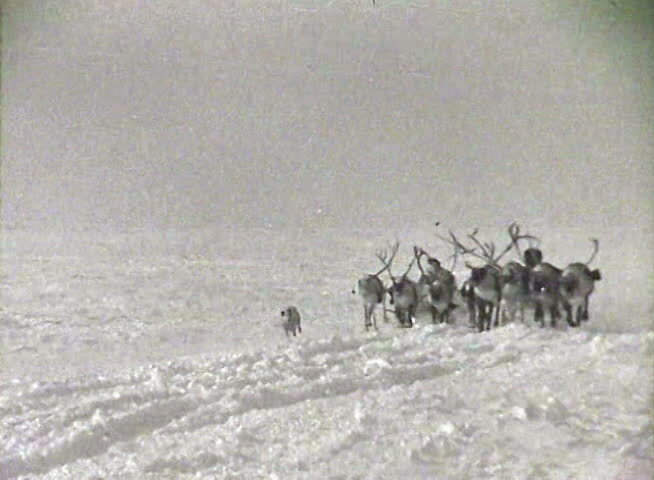 FORMER U.S.S.R. - CIRCA 1950-1960: Reindeer team. Newsreel of the USSR. hd00:21Marsh Lechwe Antelope Grazing. A look at a herd of Lechwe Antelopes in a marshland. The antelopes run and march through the marsh grazing.